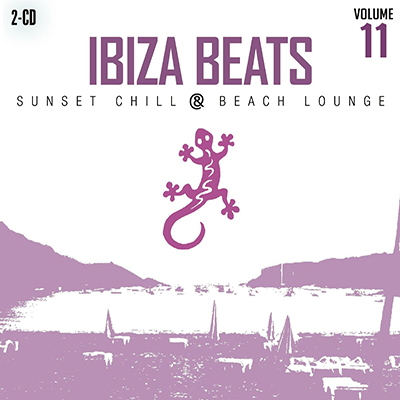 Ibiza Beats Vol 11 Sunset Chill and Beach Lounge is a unique collection of new and exclusive chillout titles from various European DJs and producers. CD1 is full of jazzy music and downtempo starting with “Jazzalike” and “Amore and More” by Marco Moli. Followed by Vanilla Sky in a chill and jazz atmosphere as we like it and Under My Skin by DJ Deviance, and come Skyscraping and Feel Like Making Love by Eugene Mc.Daniels featuring the soft vocals and lyrics of Anne Chris. The highlight surely is You Broke My Heart composed by Samuel Pineau, the masterpiece of Sambox accompanied by a beautiful voice. CD2 more versed on Lounge music starts with “Walk On By” by B. Bacharach-Hal David with vocals by Anne Chris. “C’era Una Volta” composed and performed by Alex Cortiz, You’ll Never Know by Marc Hartman, “Travel In Your Dreams” remixed by Marco Moli, “Midnight Glances” by Alex Cortix, “Heavenly Bliss” vocals and lyrics by Anne Chris. Exception (Remix) by Weber & Weber, written by Marc Hartman. “Love At Sunset” by Solanos, written by Sura Q and Don Gorda. “Valentine (Please Stay) by DJ Deviance, Rogers & Hart, Vocals by Anne Chris, “Warm Sand by Kaxamalka and Sura Q, “Bossa Linda” by Marco Moli and “You’re Beautiful” by Sambox, composed by Samuel Pineau. For more than 10 years a proven concept at home and abroad. Time to chill with the tastiest chill & lounge music to feel like you are relaxing on one of the famous Ibiza beaches.